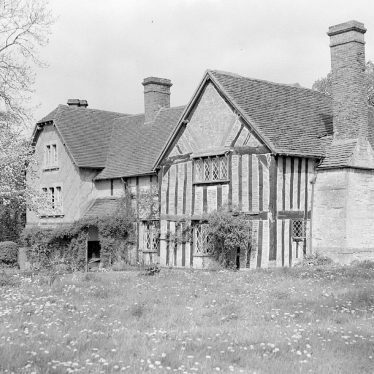 Oldberrow is now in the Stratford district of the county, but was in Worcestershire until 1896. Oldberrow Hill slopes 72 metres downwards from north to south, providing an interesting topographical feature. 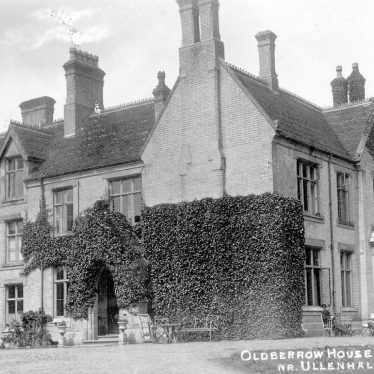 Oldberrow. 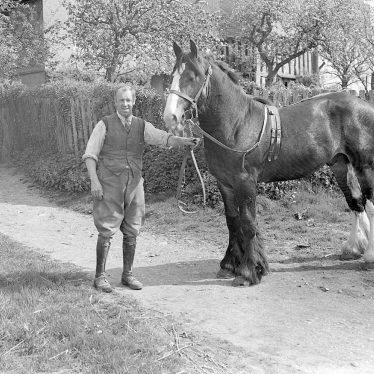 Man and horse at Oldberrow Court. The site of three possible boundary marker dating to the Medieval period. They are known from documentary evidence and are located 900m east of Outhill. The line of a road dating from the Medieval period which remained in use until the Imperial period. It is now visible as an earthwork or hollow way. 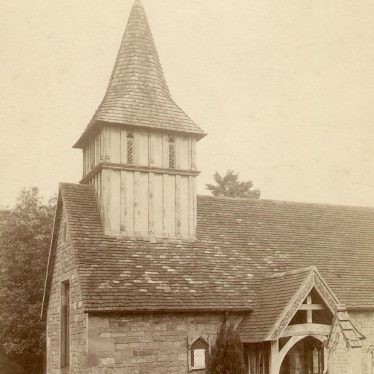 It is located 900m south west of the church in Ullenhall. Moated site with small garden. Ridge and furrow cultivation, in Oldberrow parish, dating from the Medieval period onwards. Some areas of ridge and furrow are survive as earthworks, whilst others are visible on aerial photographs. The route of a road which is visible as an earthwork. The road may date back to the Medieval period but it was certainly in use during the Imperial period. It is situated to the west of Ullenhall. The site of a deserted settlement dating to the Imperial period and known from documentary sources. It was situated 600m north east of Outhill. 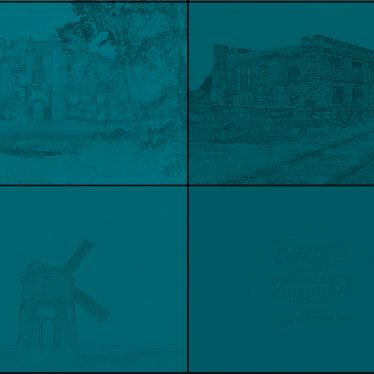 This map shows markers for every photo, article, historic site and catalogue record within the Oldberrow category.